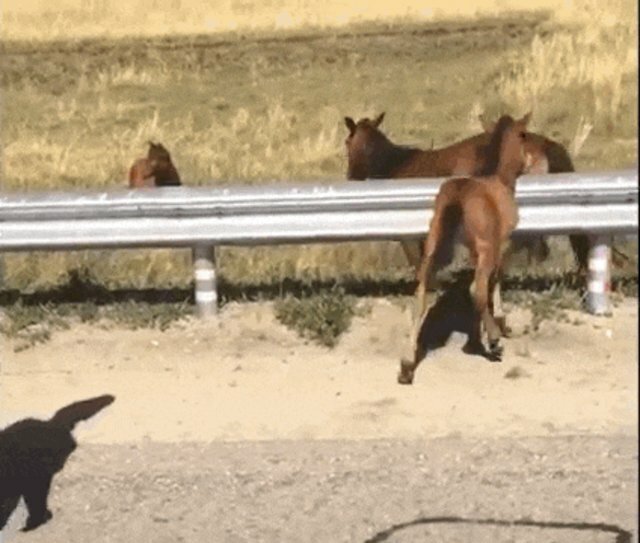 The open road can be a dangerous place, but for baby animals who are accidentally separated from their mothers, it can be a whole new level of scary. 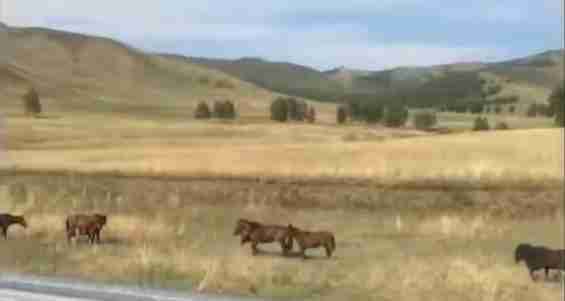 A YouTube video captures the moment a few travelers spotted something unusual up ahead. 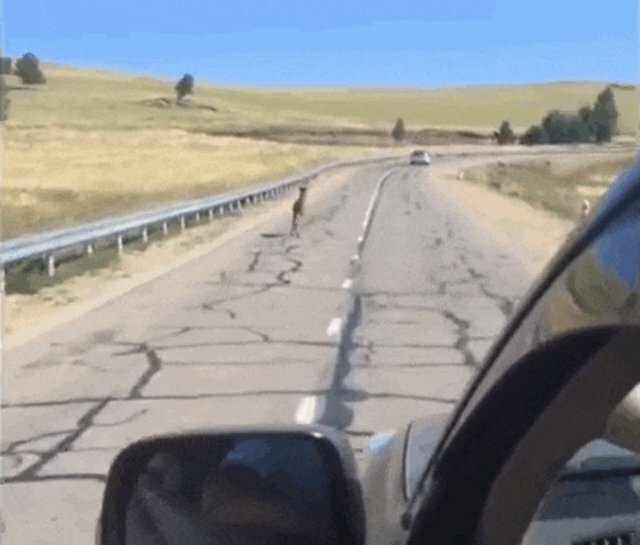 What's that on the road? Another driver switching lanes without a turn signal? 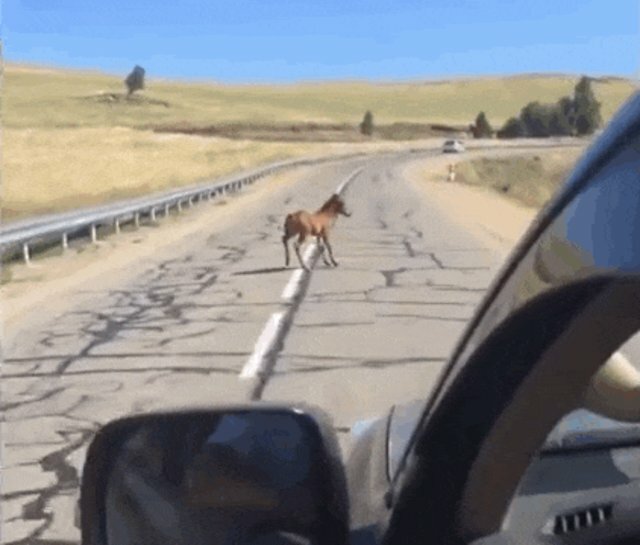 After slowing down, a closer look revealed the fellow traveler to be a baby horse. 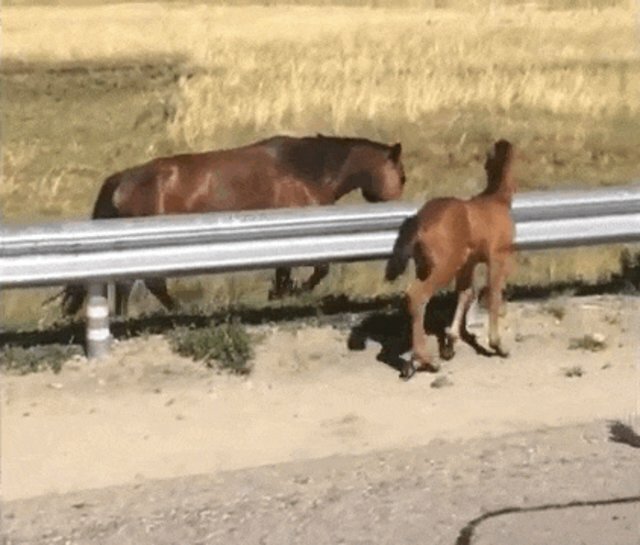 The young foal had gotten herself separated from her mother. She was trapped on the wrong side of the fence. The horse struggled to get herself over it, so a passenger from the car offered to lend a hand. 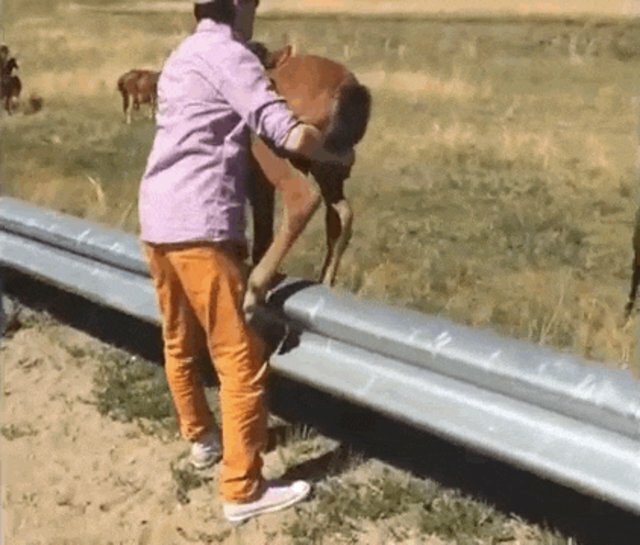 Eventually, the guy managed to lift the horse above the fence and return her to her mother. She joined her family on the only freeway where a baby horse should be: the beautiful, wide landscape. 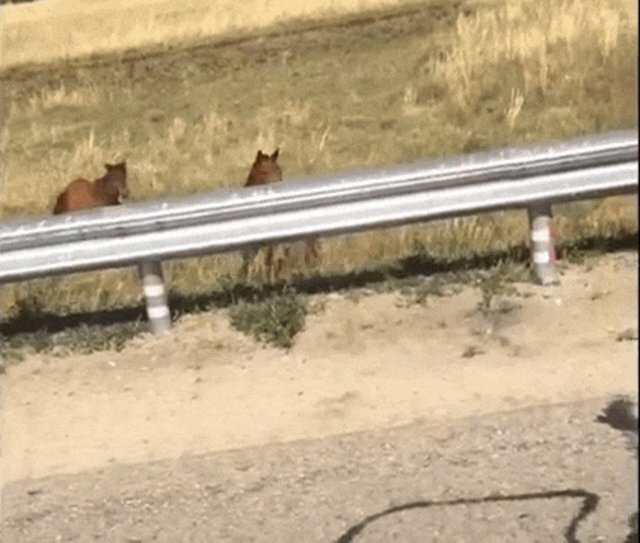 Run free, baby horse! Smell the air and feel the dirt beneath your hooves, little one.